These coasters have a cork backing and are very well-made. 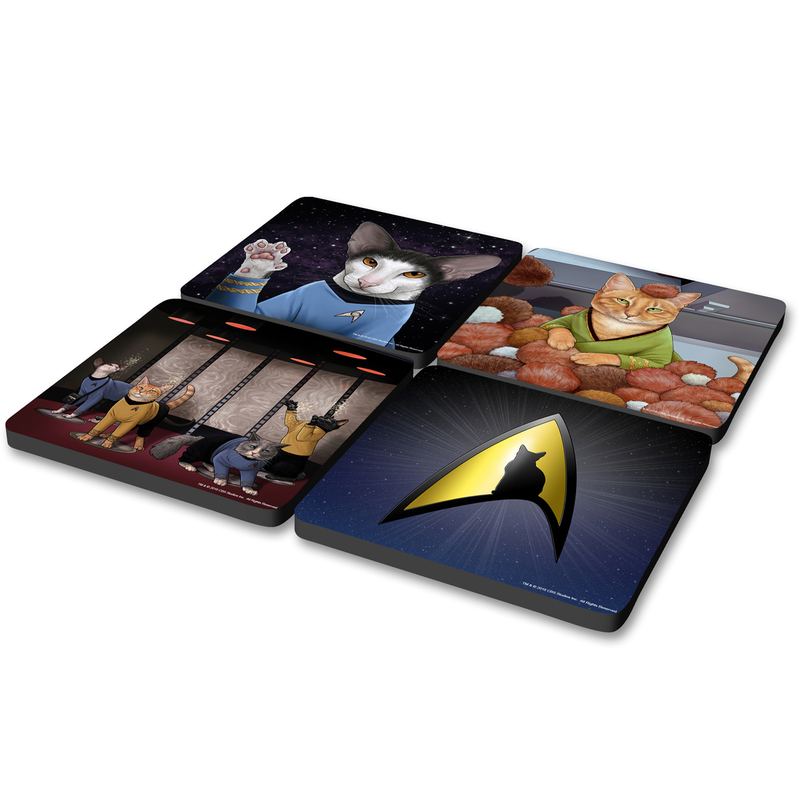 They reflect some of the best moments of Jenny Parks' wonderful Star Trek cat crew. Well worth the money! I bought them to give as a gift but changed my mind! Every TOS fan who loves cats needs a set. LLAP!